Transform your Casio stage piano into an upright digital piano. 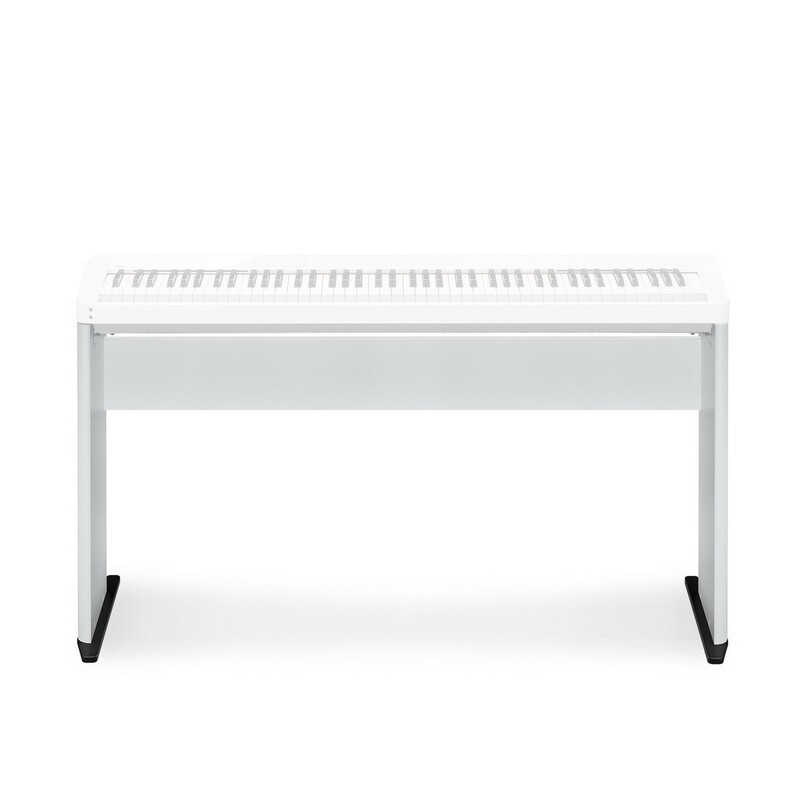 Perfectly designed to fit the PX S1000 and S3000, the Casio CS68 stand will bring a classic piano look to your home. The sturdy wooden structure will ensure that your piano doesn't move when performing, even when playing aggressive styles. Thanks to the simple design, the CS68 only requires a few screws and can be constructed in a matter of minutes. The slim design means the CS68 complements the PX S1000 and S3000's shape, as well as being easily portable. The CDP CS68's white finish looks smart in the home and on the stage.